When hearing the word Vietnam, it is the Vietnam war that might come to your mind first. And that may be all you know about this Southeast Asia country. The truth is Vietnam has a lot more to offer other than the bloody war history. More than 40 years since peace came back to the land, Vietnam keeps thriving and reveals its hidden charm. From majestic mountain range and spectacular terrace field in the north to emerald water of Halong Bay, Vietnam is a treasure waiting to be discovered. If you are visiting Vietnam for the first time, this article is for you. 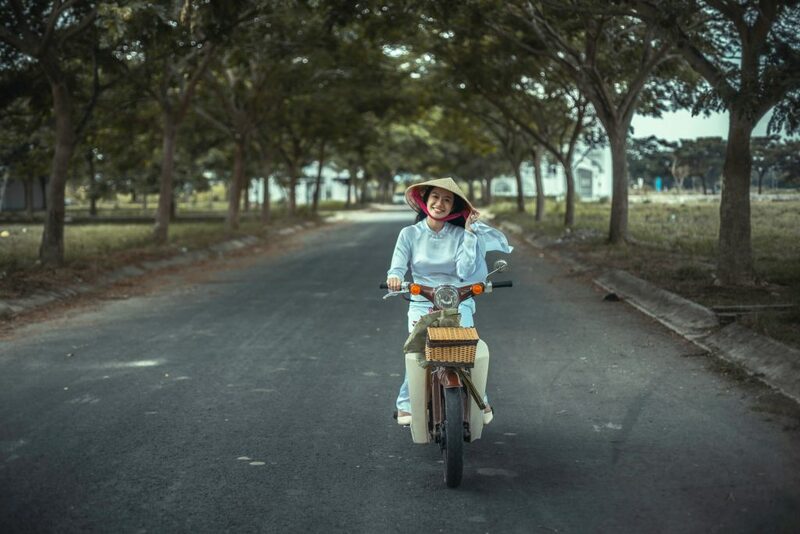 You will find in this first timer’s guide to Vietnam the best places to go in Vietnam, when to go, how long to stay, what is the cost and some handy tips. Plus, for planning you have us! Along the country, from the north to the south, there is way too much beauty to take it all at once. Here are some of the most stunning places and things to do which is a must for the itinerary of any first-time travellers. As the iconic attraction of Vietnam, your Vietnam journey travellers without a visit to Halong Bay. Halong Bay is the combination of nearly 2000 limestone islands and islets rising from the jade emerald water. Under the effect of water and wind erosion over million years, these limestone formation creates impressive cave and stalactites, stalagmites. In 1994, Halong Bay was listed as the World Heritage Site for its outstanding aesthetic value. Six years later, UNESCO gave Halong Bay the title World Heritage Site the second time for its geological and geomorphological value. The best way to spend your Halong bay tour is to take an overnight cruise which will include accommodation, meals, and excursion to different attractions within the bay. Whether you want a luxury cruise or a budget trip, they will have something for you. Hoi An is the very first international commercial port in Vietnam which was once a busy harbour for merchants from around the world. Despite the time and war, the whole town is almost intact. 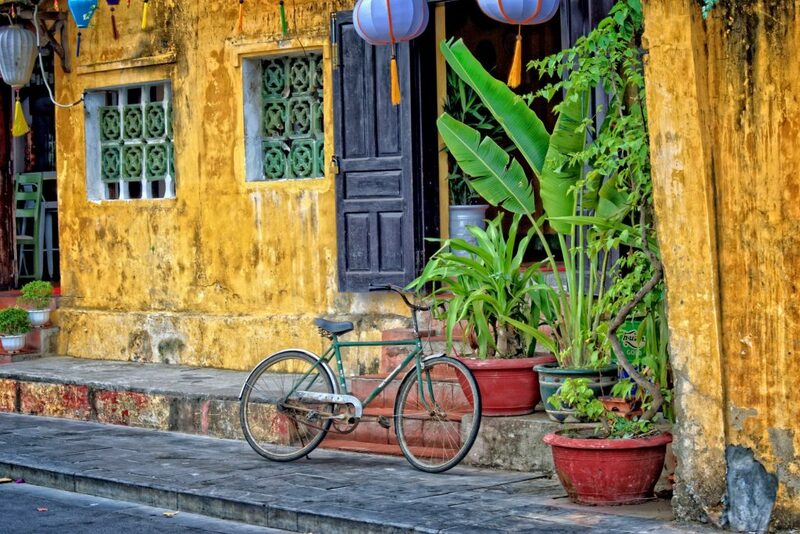 Come to Hoi An today; you still see the town with the wooden houses and small tiled pathway as it was 500 years ago. The town’s structure and architecture is something you won’t see anywhere else. It reflects a unique fusion culture which is the result of trading activities in the past. The northern part of Vietnam offers breathtaking trekking route. The landscapes can cover the whole spectrum of hiking and trekking from easy route for beginners to adventurous multi-day trekking. 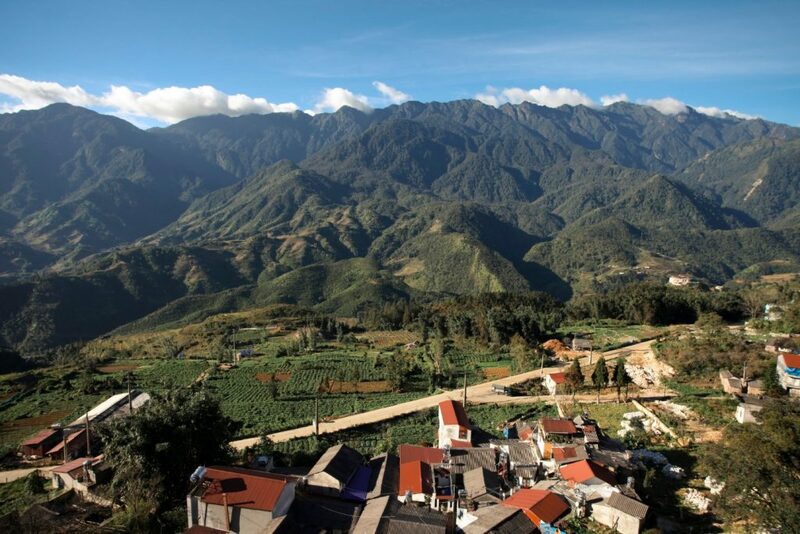 The region is home to one of the highest mountain ranges in Indochina (Fansipan Peak in Sapa). Northern Vietnam is where you find the world the most incredible terraced rice fields. 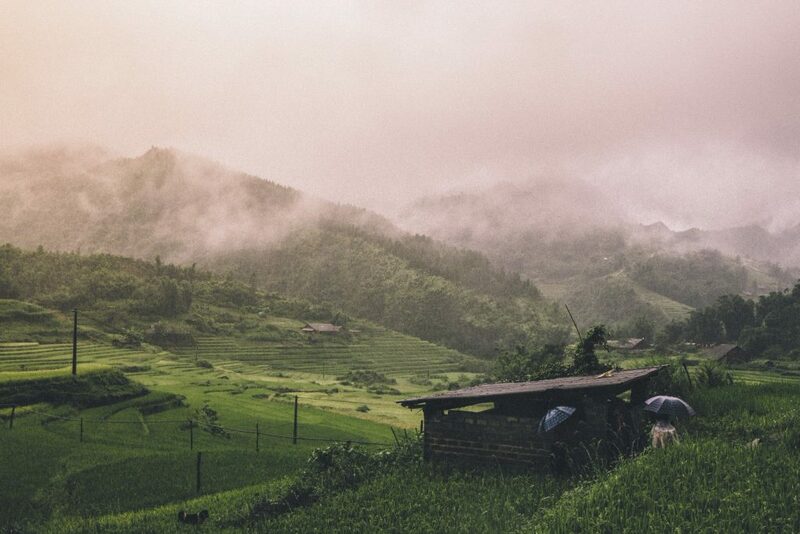 Imagine you will trek through seemingly endless rice fields and get to know local people who have created it. The local culture of ethnic minority group adds to the uniqueness of your journey in the North. Vietnam has a long coastline which is bestowed with many beautiful beaches. Many of them are repeatedly listed among world’s best beaches. 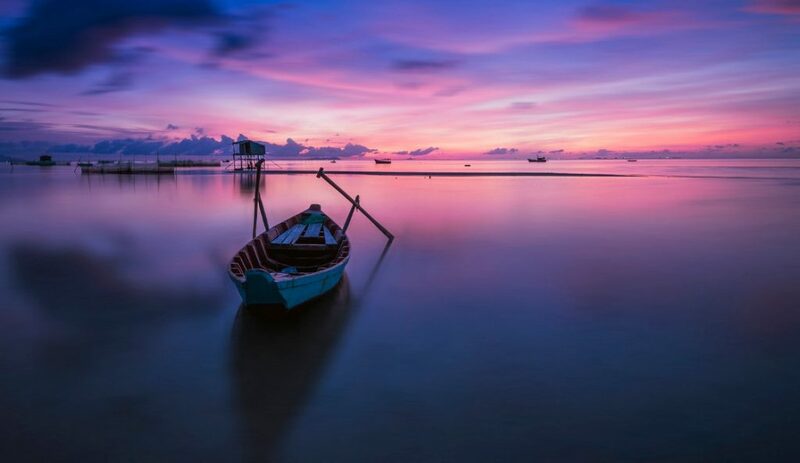 Long Beach in Phu Quoc makes it to the top list of 100 best beaches around the world voted by CNN travel. A wonderful thing about beaches in Vietnam is the low cost. Long Beach ranks third in the world’s top cheapest beaches, followed by Nha Trang City Beach. Sun-Drenched beach with turquoise water and the beautiful coral reef is just a perfect place to spend your vacation. The best time for travelling to Vietnam varies among different parts of the country. This S-shaped country has three regions with the distinct weather. The North: avoid period from January to March when the weather is extremely humid. September until late October is the best time to see the terraced rice field in the north. The Central: storm hits the coastal region in the Central more often in the summer (June to August). Springtime with pleasant weather is a good time to stay here. The South: May to November is the rainy season with heavy rain which can cause the flood. The dry season starts from mid-November and lasts until April. This is the best time if you are planning a trip to Southern Vietnam. Overall, if you are going for a trans-Vietnam tour, September to December; March and April are the best time. Vietnam Tourist Visa allows a maximum length of stay up to 30 days, so why not take full advantage of this time. Take a slow pace and enjoy all the country has to offer. The answer depends very much on your travel style. If simple accommodation, street food (street food in Vietnam is amazingly delicious, one of world best street food), cheap way of transport is alright for you, the daily budget is around 30$ per day. If you want a luxurious trip, Vietnam offers truly luxury resort at a price up to thousands dollar per night. If you don’t, you are likely to be overcharged because you are foreigners. In crowded tourist attractions, even domestic tourists have to pay a higher price than it actually cost. Vietnam is safe for even solo travellers, but theft is common in crowded tourist attractions and on the bus and bus station.Taking your belongings with you in a chest bag is the best way to avoid theft. Sellers in tourism zone can overcharge you, but they do not represent all Vietnamese people. The ordinary people are very hospitable and sweet so don’t hesitate to ask when you need help. Ask them with a smile, and you will see they smile back and help you. Vietnamese is quite open with foreign tourist so you can dress anything that makes you comfortable. No one will judge or stare at you. However, when you go to pagoda or temple, dress something can cover as much as possible. Short trousers and T-shirt is not allowed. Dressing properly shows your respect for their local culture. Enchanted by the beauty of Vietnam? Send us a postcard and we will take care of the rest.